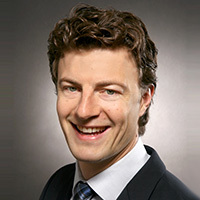 Martin Schneider is a chemist by training, with a focus on polymer chemistry, especially elastomers. He joined ARLANXEO (at that time LANXESS) in 2010 in R&D for chloroprene rubber. In 2014 he finished training as European Adhesive Specialist at the IFAM. Since 2016 he has been working in application development and customer support for polychloroprene-based contact adhesives at ARLANXEO, and he heads the adhesive application lab in this function. High initial and final strength, as well as long open times, make solvent-borne polychloroprene-based contact adhesives indispensable in many applications. This class of adhesives is known for its good adhesion to a variety of different substrates. But there are some materials, such as plasticized PVC, that cannot be bonded with standard polychloroprene adhesives. Until now, the adhesive manufacturer has had to modify the polychloroprene by grafting with methyl methacrylate to overcome this issue. But the grafting reaction is a time-consuming operation, inevitably involving the handling of environmentally hazardous, potentially explosive, irritant and sensitizing substances. In addition, the finished product presents a risk to the end-user as a result of the presence of residual methyl methacrylate, which is classified as irritant and sensitizing. This presentation will show how the grafting reaction can be made redundant and adhesion to plasticized PVC can be enabled by appropriate formulation with raw materials that, up to now, have not been used in contact adhesives.